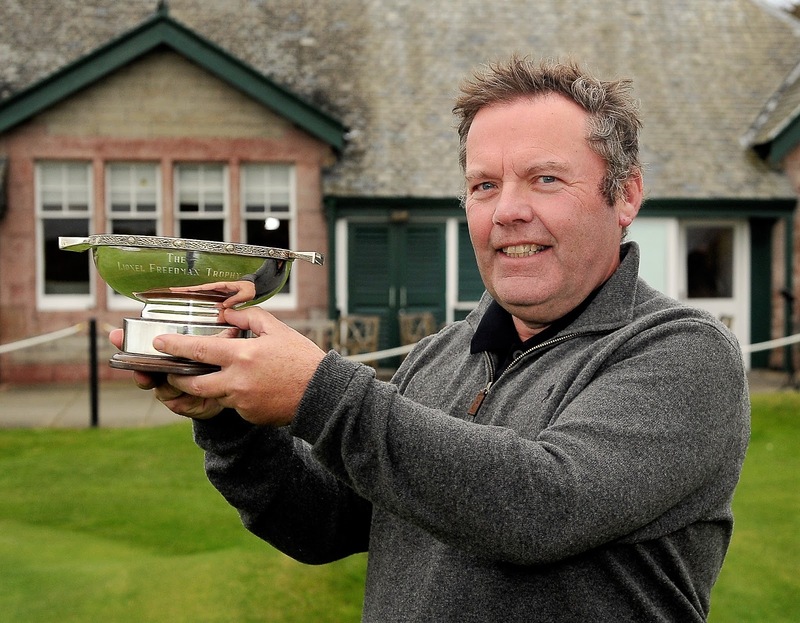 Senior pro golfer Fraser Mann from Carnoustie, after several years of trying, has won the World Hickory Open Championship, played this year at Kilspindie Golf Club at Aberlady, East Lothian for the first time after several years at Carnousite. With a field of 120 competitors from 13 countries from around the world, as far as the USA and Scandinavia, competition was fierce in testing conditions. Mann's rounds of 71 and 70, for a total of 141for a four-stroke victory, were impressive scores in any period, but even more praiseworthy when achieved with clubs that date back 100 years. Rick Valentine (Loretto School), a former World Hickory Open champion, finished second with scores of 72 and 73 for 145. Andrew Marshall from Norfolk, the 2015 winner, shot 75 and 73 for 148, finishing joint third with Paolo Quirici (73-75). Hickory Golf is played with original or pre-1936 replica hickory-shafted clubs and yet skilful players, such as last year’s winner and former Masters and Open Champion Sandy Lyle are still able to hit their drives close to 300yds and record as low as 67, although this mark has been achieved only twice in the tournaments 12-year history.